To celebrate the release of Paranormal Activity: The Marked Ones, in cinemas 1st January 2013 (cert TBC), we have teamed up with Paramount Pictures UK to offer you the chance to win one of 5 t-shirt and blanket goody bags. Paranormal Activity: The Marked Ones is an extension from the smash hit Paranormal franchise. 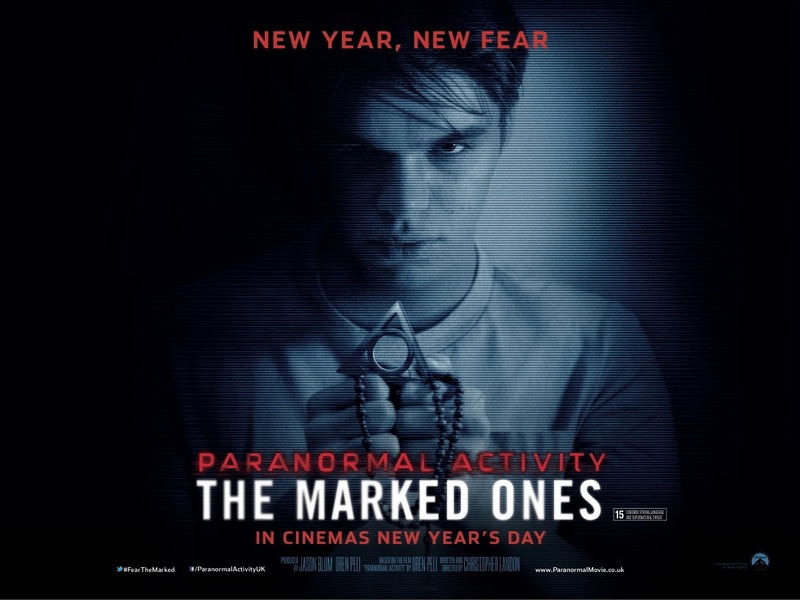 Paranormal Activity: The Marked Ones, new year new fear, is in cinemas January 1 2014. 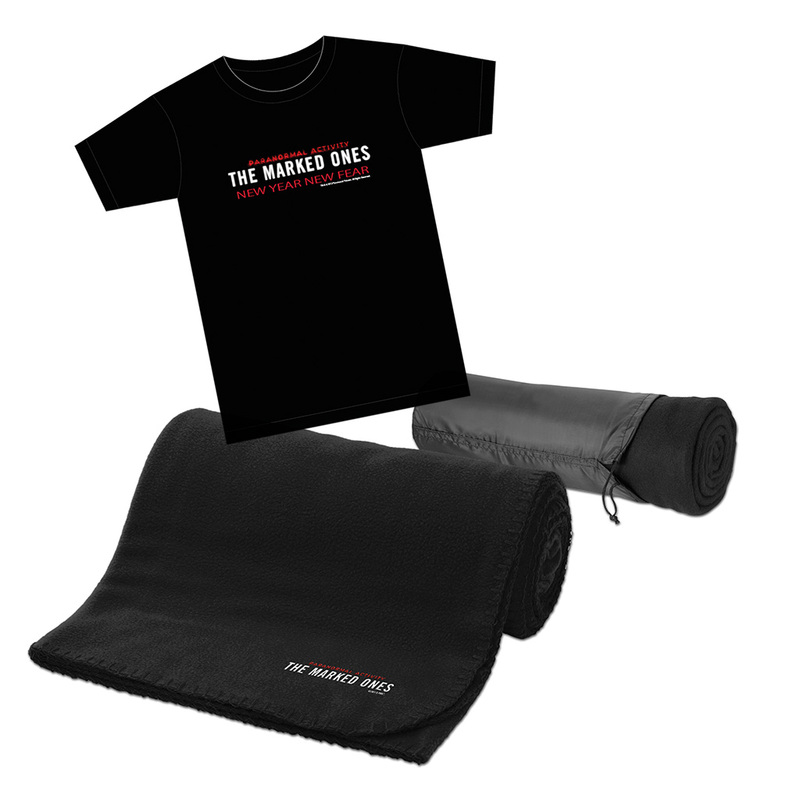 How to win 1 of 5 Paranormal Activity: The Marked Ones T-Shirt & Blanket Goody Bags! The competition closes on 5th January 2014 and is open to UK residents aged 18 or over. sometimes its good to be scared $hitle$$! Yes please. This would be great! I want to win as it would make my son think I’m the best mum in the world. Would love to win and will need that blanket to hide at the scary bits! Would love to win this for our Horror movie nights we have occasionally – we have to spend the whole evening in the dark, when watching something like Paranormal Activity, that’s quite scary! Would love to win this for my son who is 22years old as he is always making me watch scarey films with him, I am one of those mums that hide behind a cushion!!!! I’d love to win – not that I need an excuse to jump on hubbys lap, but I’ll def be jumping with this one! Never mind paranormal……..fear the geek!!! Taken the doors off the closet? Check! Left the bedroom door open? Check! Would love to win as would sit and watch it in the dark by myself as the hubby is a jessie! i would like to win because my husband loves this film! I see dead people……………..so a tshirt would make up for that! The goody bag looks funky and SPOOOKKKKYYY! Winning the goody bag would be the closest I will get to the film….I’m a bit of a scaredy cat. I’d love to win…please count me in. I wanna win cos my daughter is a mad supernatural fan and loves anything spooky!!! I’d like to win this in honour of my Uncle Norman, who jumped out of planes when he was in the Army, until he was hit on the head by someone else jumping – it left him with a big scar on his forehead. You must have heard of him, they even made a film about his time in the Army – it’s called “Para Norman Activity – the Marked One”. I should win! Why? Because I’m a big fan! I WANT TO WIN!!!!!!! PLEASE ! I NEED TO WIN THIS!!!!! PICK ME!!! i would love to win this prize because i could use the blanket to hide underneath from the spirits. maybe, appeal to your heart? well to beg would be a crime.. The blanket will keep me warm and cover my eyes at the scary moments. I want to win as I have seen all the paranormal activity films, fingers crossed!! Would love to win this, love the paranormal activity films! I want to get up to a little Paranormal Activity of my own with this. If you know what I mean…. Retweeted @JackieMONeill. I would love to win this, too tired to be creative! I want to win. No, I mean it, I didn’t type this in a zombie like state. I really, really want to win. I never win anything, again I mean it, not just some bland superlative for you to feel sorry for me, I really don’t! So I reckon by the laws of average it must be my time soon, so please let this be the time. Thanking you and the cosmos.